SpaceFlight Insider and USA in Space recently had a chance to interview U.S. astronaut Dr. Anna Lee Tingle Fisher. 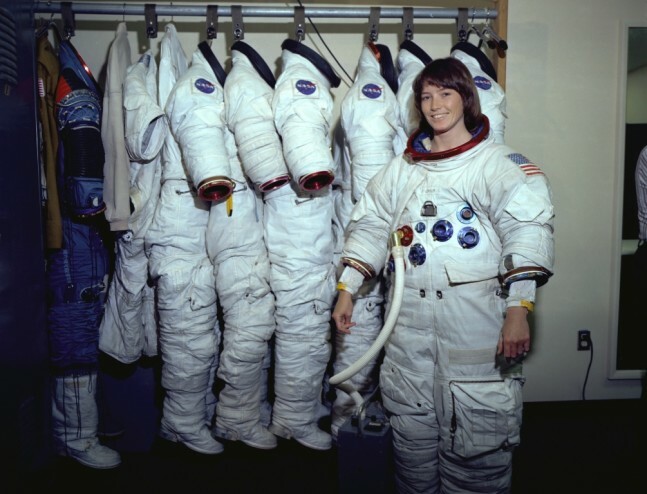 In 1978, Dr. Fisher was in the first group of six women ever selected to be American astronauts. Prior to 1978, women were not allowed into NASA’s Astronaut Training Program. In fact, the only woman to have gone into space was Soviet cosmonaut Valentina Tereshkova, who went into space in 1963. Dr. Fisher was selected for NASA’s Space Shuttle program. She was one of six women in a group of 35, known as NASA’s Astronaut Group 8. It had been almost 10 years since the Apollo era Group 7 was selected. NASA had decided that they no longer needed just military pilots, they needed people with a high degree of academics and now they wanted to include women in the selection process. All six women selected had doctorate degrees in ‘STEM‘ (Science, Technology, Engineering, and Math) fields or in medicine. They were both highly educated and motivated. Dr. Fisher is a chemist, a medical doctor, specializing in emergency medicine, and is a NASA astronaut. Today, at the age of 65, Fisher is the oldest active American astronaut. 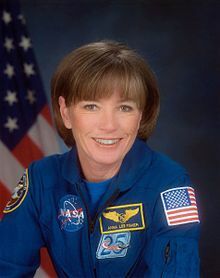 During her career at NASA, she has been involved with three major programs: the Shuttle Program, the International Space Station, and NASA’s new crew-rated spacecraft – Orion. Fisher said she knew she wanted to become an astronaut at the age of 12 when she heard the voice of Alan Shepard over the radio on his sub-orbital flight. In her dealings with NASA, she never felt any discrimination and felt that NASA was welcoming the women into the program. In fact, she said that she felt more negative attitudes in college against her becoming a doctor than she did by NASA in becoming an astronaut. Once she was accepted into the program, she knew there was a spotlight on all of them. They all knew, that from this group, the first American woman astronaut would be selected. Dr. Fisher said it did not matter to the group, who was selected to be the first American woman Astronaut. Just knowing that there was going to be a first woman was more important to them than who it was. They all understood the importance of being a contributing part of the space program and to pave the way for women in the future. Dr. Sally Ride was selected and made the historic flight on STS-7 on June 18, 1983, becoming America’s first woman astronaut. On November 8, 1984, Dr. Fisher launched into space on the Space Shuttle Discovery (OV-103). For Fisher, this was a dream come true. As a mother, this meant she was the first mother in space. She said that she most enjoyed the thrill of the launch and time spent looking out the windows at the Earth passing so fast below. One of her favorite moments in space was looking into the cargo bay of the Shuttle and seeing the two satellites they had captured from their orbits in space. The two satellites were secured in the shuttle bay earlier in the mission. 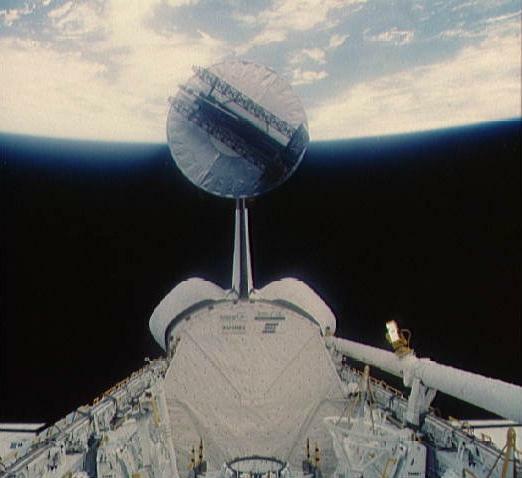 The STS-51-A mission marked the first time a shuttle deployed two communications satellites, and then retrieved from orbit two other communications satellites. The Anik D-2 and Syncom IV-1 satellite were deployed and Westar 6 and Palapa B2 satellite were retrieved. She spent 7 days, 23 hours, and 44 minutes in space and had completed 127 orbits of the Earth before landing at Kennedy Space Center, Florida. Dr. Fisher was assigned to be on the flight manifest for the launch after the next Challenger shuttle launch. On Jan. 28, 1986, Space Shuttle Challenger (OV-099) (mission STS-51-L) broke apart 73 seconds into its flight, leading to the deaths of its seven crew members. The Shuttle Program was grounded until a cause and a fix could be made. Two years later, on September 29, 1988, Space Shuttle Discovery lifted off, signifying a “Return to Flight”. 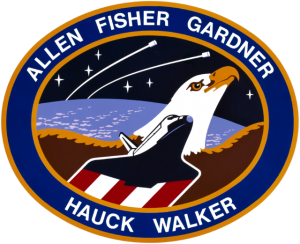 This flight was commanded by astronaut Frederick Hauck who was also on STS-51A with Fisher, but Fisher was not part of this mission. With the birth of a second daughter, Dr. Fisher took a leave of absence to raise her kids. She returned to NASA seven years later in 1996 and discovered that the agency she returned to, was not the one she had remembered. They were developing processes and procedures for the new International Space Station (ISS) program. Fisher became the chief of the Space Station branch and was able to use the experience of working through all of the issues that came up in the beginning of the Shuttle Program to help alleviate those same types of issues in that were coming up at the beginning of the ISS program. Dr. Fisher continues to use her experience to contribute to the success of NASA as it starts of the Commercial Crew Program and the Orion Program. Pioneering women like Fisher helped to pave the way for many U.S. women astronauts and she continues to be an inspiration to many. JD Taylor was a long-time space enthusiast who, wanting to become more involved, opened his own space-themed news website: USAinSpace.com. Since the formation of this site, Taylor was introduced to the team at SpaceFlight Insider and opted to partner with SFI so as to be able to better tell the space exploration story.